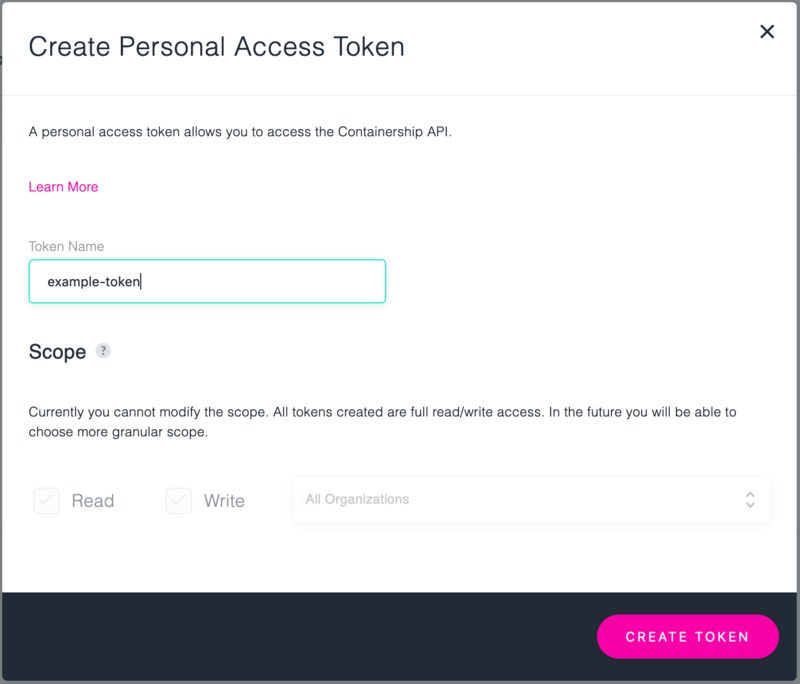 Personal access tokens are the preferred authentication mechanism when interacting with Containership programmatically. They do not expire and can be revoked through the Containership UI. For example, you can easily configure the official Containership CLI, csctl, to use a personal access token for authentication. Many users use this as part of their CI/CD pipeline. Personal access tokens are managed from within your Account section. 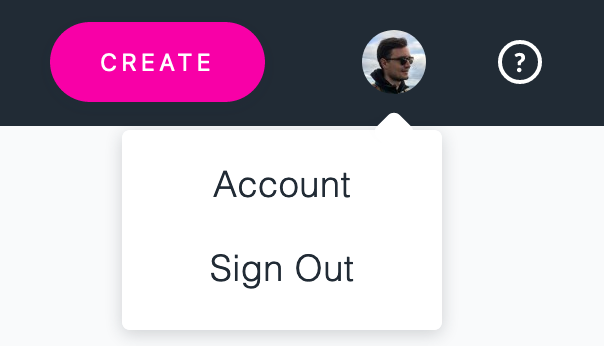 To access this section, click on your user icon in the upper right hand corner and choose "Account". To create a new personal access token, click "Create Token". The Create Personal Access Token modal will appear. Give the token a name and click the "Create Token" button. Note that currently, the scope of personal access tokens cannot be modified. On the next page, you must copy the newly generated token. For security reasons, you will not be able to view the value of this token again after you click "Close". Your new token is now listed under the Access Tokens section.